V neck sleeveless bodysuit with mesh lining, in two different colors. 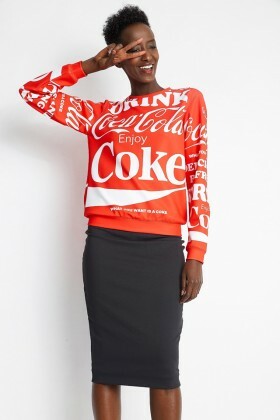 Sugarbird x Coca-Cola sweater with jewel neckline and long sleeves. 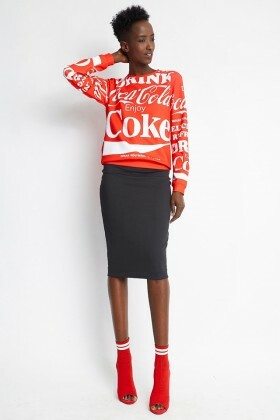 Oversize tunic with asymmetric bottom.